Associate Professor of Practice Jason E. Squire just returned from China, where he presented at the Beijing International Film Festival. 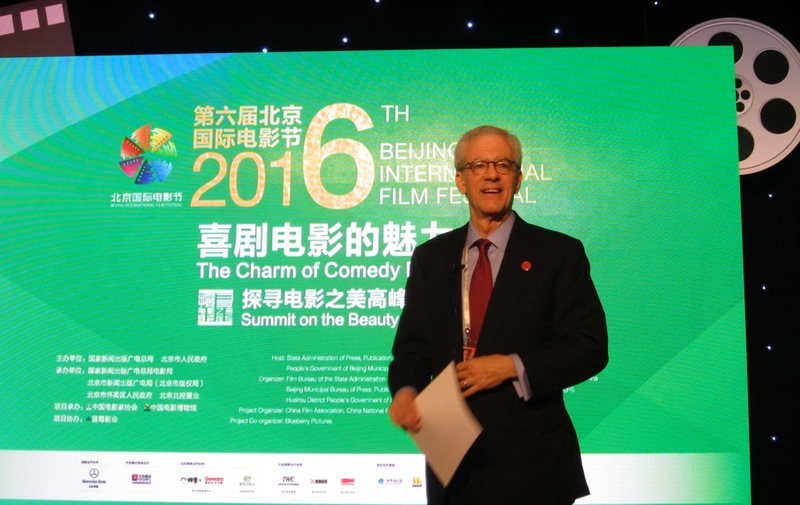 His keynote was part of a segment titled “The Charm of Comedy Films” at the Summit on the Beauty of Film. The summit was hosted by the State Administration of Press, Publication, Radio, Film and Television of the People’s Republic of China and also by the People’s Government of Beijing Municipality. The China Film Association and the China National Film Museum served as summit organizers. Before the keynotes, Squire participated in a handprint ceremony with three other presenters, including Bak-Ming Wong, founder of Pegasis Motion Pictures Ltd., and Finola Dwyer, producer of the acclaimed period piece Brooklyn. Squire’s keynote speech “English-Language Movie Comedy Traditions” at the China National Film Museum traced the history and traditions of Western comedy, from Aristophanes, Commedia dell’arte, Shakespeare and Mark Twain through vaudeville, silent comics, screwball comedy, early live TV (Your Show of Shows), stand-up and sketch comedy (Saturday Night Live), feeding into contemporary films such as the Hangover trilogy, Bridesmaids and cross-platform stars such as Grace Helbig and Louis C.K. 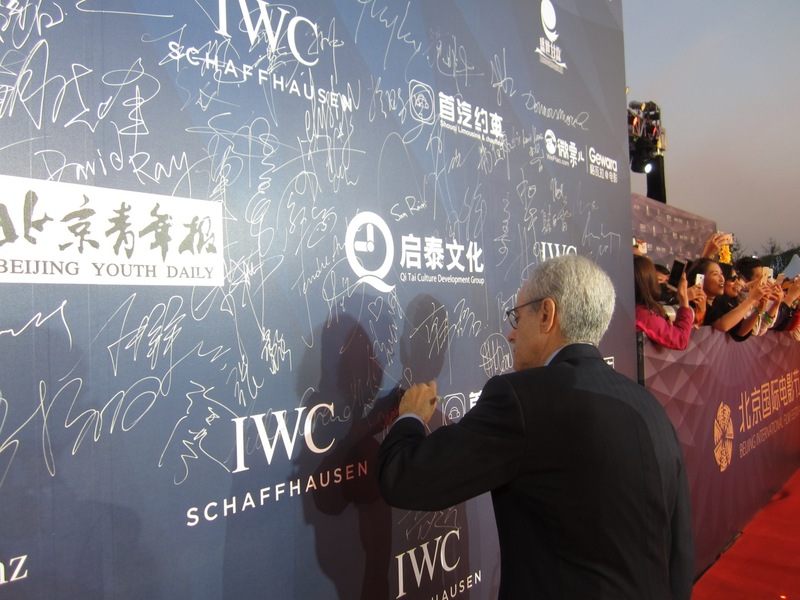 As a guest of the festival, Squire was given a private tour of the museum, participated in the festival’s closing ceremonies and signed the Beijing Film Academy’s Wall of Honor. It was Squire’s ninth academic invitation to Asia and his eighth to China.